GRUNPY – How you feel on a rest day or when injured or on any other day the universe conspires to stop you from running. 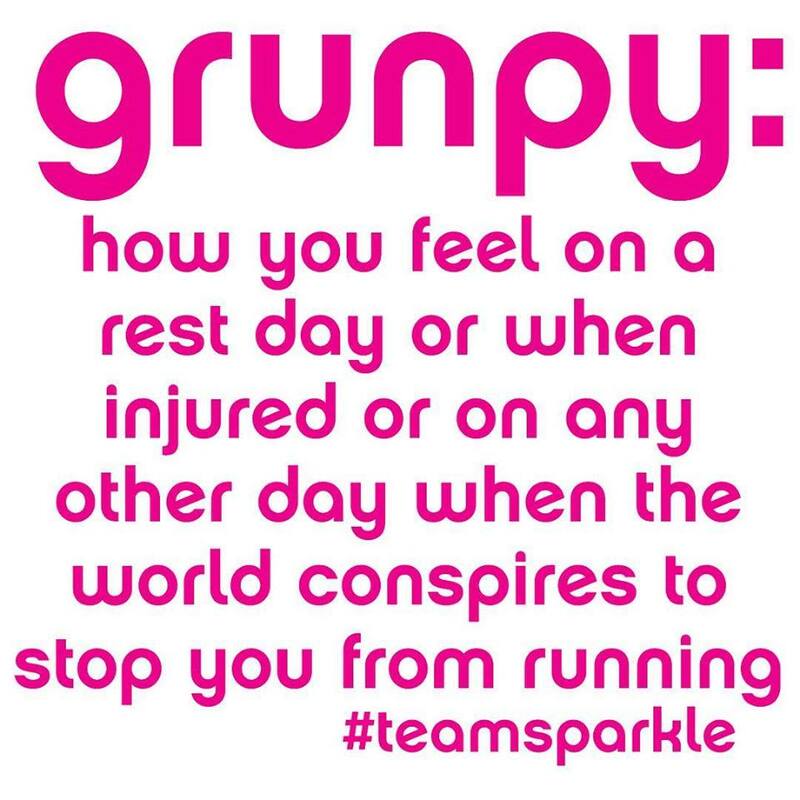 Have you ever felt this way #teamsparkle?! It’s almost as bad as that feeling you get, when you see another person running & get jealous. We call it #runvy.